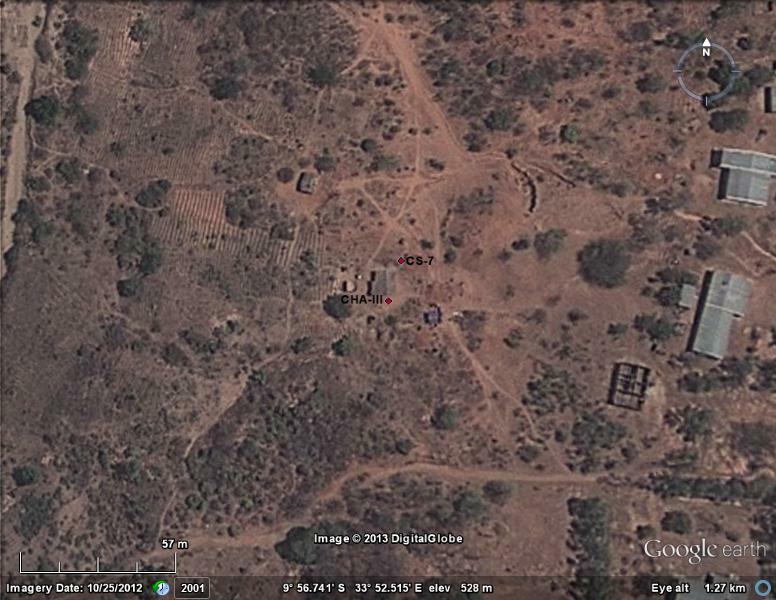 The quality of imagery available from Google Earth is constantly improving and making geovisualization easier for archaeologists, geologists, and really anyone who does fieldwork and doesn’t want to spend thousands of dollars hiring commercial satellites. 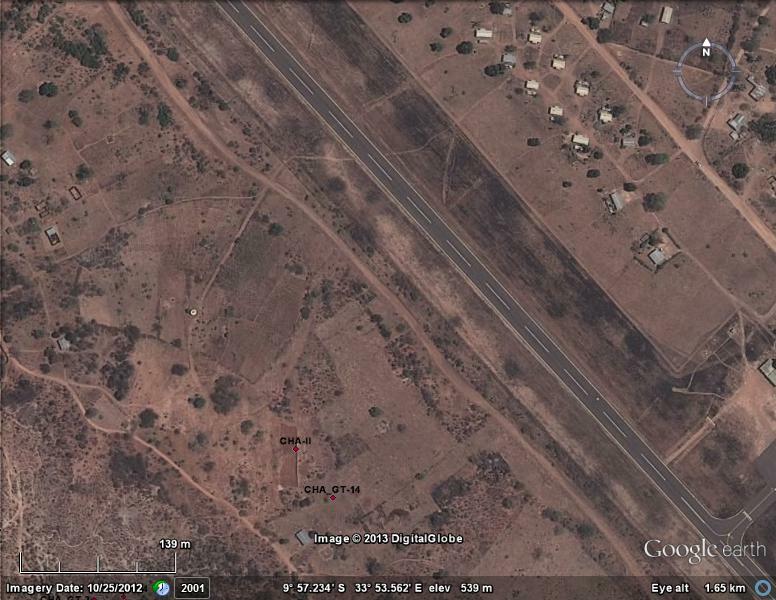 Recently we noticed that Google Earth has relatively new sat imagery for the Karonga area (~October 25th, 2012) with sufficient resolution to clearly show the megatrench at Chaminade II, even though it was mostly backfilled when the image was recorded. Our more recent excavation at Chaminade III is also visible, though a bit less clearly since it is considerably smaller than Chaminade II. One of the great opportunities presented by good quality, freely available satellite imagery is for archaeologists to monitor what happens to excavations after the dig is officially concluded. Do the sediments in a backfilled excavation becomes deflated over time? How does erosion affect a step trench left exposed for multiple seasons? Did the local government bulldoze your site in order to build public housing? These are just a few of the questions that can be addressed through satellite imagery; there are also the obvious advantages associated with being able to find your site again years later. The search for J.D. Clark’s 1965-66 excavation site at Chaminade 1A (more news on that coming shortly) over the last few years really brought home to the MEMSAP team how difficult it can be to relocate an important archaeological site that was excavated in the days before GPS and Google Earth. The already widespread use of remote sensing data like Google Earth imagery and the growth of online repositories of archaeological research (e.g. http://www.tdar.org) should make things at least a little less complicated for future generations of archaeologists seeking to reinterpret old excavations.